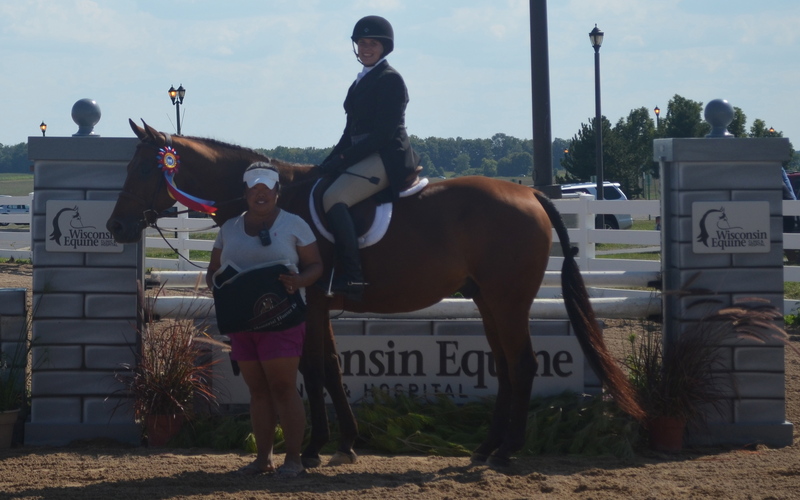 The Wisconsin Equine Derby Weekend aims to educate riders while providing a fun and challenging competition. West Bend, WI – May 15, 2014 – The 2014 Wisconsin Equine Derby Weekend is creating a weekend stocked with events for the entire family thanks to the many generous sponsors. The whirlwind weekend begins August 15th at the Washington County Fairgrounds in West Bend, WI, with a day of education. USEF R Licensed official and clinician Diane Carney of Antioch, IL, will work with jumper riders to review basics and teach techniques needed for jumping derby style jumps. Steve Wall, also a USEF R Licensed official, from Santa Barbara, CA, will work with hunter riders giving them a judge’s perspective on improving their derby rounds. Wisconsin Equine Clinic & Hospital will be on hand to support their clients and conduct educational mini seminars on various topics related to the health and wellness of the horse. Walsh Products will be on the show grounds with an assortment of their quality training products for trainers and riders to try at their leisure. Walsh representatives will be available to answer questions regarding any of their fine products. Friday evening is topped off with an exciting 4 Bar Jumper Challenge sponsored by Rising Star Stable of Watertown, WI and a riders meeting to review the rules of the competition and pizza party sponsored by ChicagoEquestrian.com. Chrissy Hollnagel and Saki won the five-bar class in 2013. Saturday is Hunter Derby Day filled with a series of two round competitions at jump heights ranging from 2’3 – 3’6”. The feature hunter event will be the $1,500 Hope Memorial Hunter Derby for 3’6” riders sponsored by the event creator, Courtney Hayden Fromm. Friday’s clinicians, Wall and Carney will judge the competition and will get to see first hand what riders learned in the clinic. An array of fabulous prizes and prize money will be given out thanks to numerous sponsors. Maggie Papka and Langdon Street won the Hope Memorial Hunter Derby in 2013. During the day Saturday, there will plenty of shopping from various vendors and a Breyer Fun Day, complete with the Stonewall Ponies Ice Cream Party. The day will end with more festivities including the new Barbara Biever Lead Line class for tiny tot riders, a dog costume class sponsored by Walsh Products and a Parade of Champions for the winners of the day’s classes. 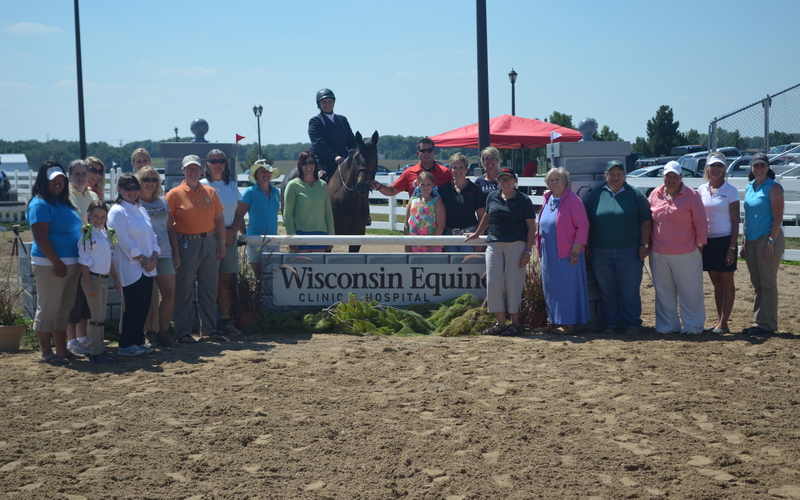 The feature sponsor, Wisconsin Equine Clinic & Hospital, Oconomowoc, WI, will host an exhibitor’s party during the $2,500 Walsh Products Mini Prix for jumper riders. Reilly Fardy and Finn won the 3'6" Jumper Derby last year. Tricia Kasten from Wisconsin Equine Clinic presents the award. Sunday ‘s Jumper Derby Day kicks off with the $1,500 3’6” Jumper Derby sponsored by International Riding Helmets (IRH), CWD Saddlers and Nutrena Feeds. Exhibitors can watch the exciting speed class for jumpers while enjoying a fantastic brunch sponsored by Ulcerguard/Gastroguard and a Bloody Mary Bar courtesy of Foremost Stables of Dousman, WI. The day continues with more exciting jumper competition at various heights for all levels of riders. This special event weekend creates a fun, educational and memorable event for both exhibitors and spectators thanks to the support of the many sponsors who believe in the event. Fromm will also be donating a portion of the proceeds from some of the events to a local charity. The 2013 Wisconsin Equine Derby Weekend was a huge success thanks to all of the generous sponsors. at the Washington County Fair Park, West Bend, WI 53095. Competition begins at 9:00am each day. For more information on Wisconsin Equine Derby Day visitwww.oldseoulequestrian.com or contact Courtney Hayden Fromm for a prizelist atCshayden@yahoo.com.